Reducing the weight of a car can be the key to maximal performance, and for a vehicle like the C7 Corvette, it can mean the difference between outstanding speed and handling and mediocrity. The classic means to achieve weight reduction is to replace heavy metal parts with components made of lightweight carbon fibers. Carbon fiber provides a tremendous amount of strength relative to its weight. They are harder to damage than conventional car parts, since they deform and recover more readily than parts made of other materials. 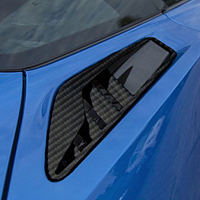 For an owner interested in the performance of a Vette, carbon fiber provides an edge obtainable in no other way. For many cars, the most useful carbon fiber parts are large panels. Hoods made from the material are almost classic items, but fenders and other body panels are also available, as are many smaller parts. Some Corvettes, especially those intended for the race track rather than the highway, may have almost all body and even frame components made from carbon fiber. Interior parts may incorporate some carbon fiber, as in center consoles or door sill plates. Even the exhaust system can use carbon fiber diffusers. 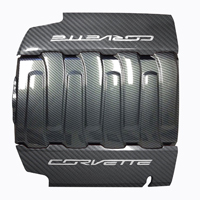 C7 Corvette carbon fiber parts are specialty items intended for high end cars being modded for high performance. The best source of Corvette parts is a specialty supplier whose staff are Corvette enthusiasts. 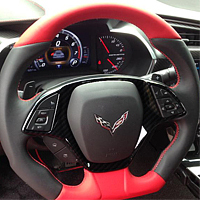 Corvette Mods' staff of knowledgeable experts are always ready to help Vette owners figure out the best way to use carbon fibers to maximize the performance of their vehicles. Call today to talk about what reducing your car's weight means to its performance.